Second only to soda, bottled water is on the verge of becoming the most popular beverage in the country. The brands have become so ubiquitous that we're hardly conscious that Poland Spring and Evian were once real springs, bubbling in remote corners of Maine and France. Only now, with the water industry trading in the billions of dollars, have we begun to question what it is we're drinking. 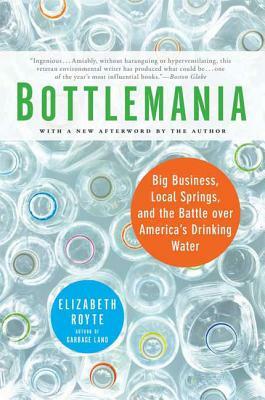 In this intelligent, accomplished work of narrative journalism, Elizabeth Royte does for water what Michael Pollan did for food: she finds the people, machines, economies, and cultural trends that bring it from distant aquifers to our supermarkets. Along the way, she investigates the questions we must inevitably answer. Who owns our water? How much should we drink? Should we have to pay for it? Is tap safe water safe to drink? And if so, how many chemicals are dumped in to make it potable? What happens to all those plastic bottles we carry around as predictably as cell phones? And of course, what's better: tap water or bottled? Elizabeth Royte has written for the New York Times Magazine, Harper's, National Geographic, Outside, Smithsonian, and The New Yorker. She is the author of Garbage Land and The Tapir's Morning Bath.